My son Laird and his lovely wife Sadie have gone and done it, they have brought a baby girl into my family at last. I have two great sons and three grandsons, but have really wanted a granddaughter. Granddad was ready for a girl. My first granddaughter (wow!) Arielle is a beautiful little girl, just 4lbs 11oz. at birth, strong and healthy and after her first week doing spectacularly well. In the case of our little Arielle, the first thing I do when I see her is smile—actually it’s probably more of a big grin. She is just such a wonderful miracle, and I am so happy to have her with us and thrilled for my son and his wife. After I do the silly grin thing with her, I do what I do with all babies. I believe she was born with a lot of things, her genetics are going to have a great influence on how tall she will be, what color hair she will have, how much she favors my son or his wife, and to some extent her personality is probably a bit hardwired. Certainly there are some unique innate intelligence and intelligences that are hardwired as well. But, I don’t believe these things have a lot to do with Ari’s or any other child’s potential to have a happy, wonderful life or to be smart, educated and free to pursue her passions. How close she comes to realizing the dream of a wonderful life is going to be primarily a reflection of her opportunities, not her genetics. My son and his wife realize this and were ready to assume this tremendous responsibility before they made the conscious decision to bring her into this world. They are going to be fantastic parents and I will be delighted to take this journey with them, as will the rest of her family. Children bring to families a lot of responsibility, tremendous love, hope, joy, and a bump or two (or a hundred) to keep it interesting. I don’t wish to be prejudiced, but I have got the darn cutest little granddaughter on the planet and its really going to be tough to not spoil her really bad, but then again you can’t really give a granddaughter too much love—right? As I ponder Arielle’s future and what she is going to bring to our lives and we to hers I can’t help but be a bit sad thinking about all of those children who have virtually no opportunities, let alone wonderful opportunities. We need to acknowledge this imperative and figure out ways to make some changes. 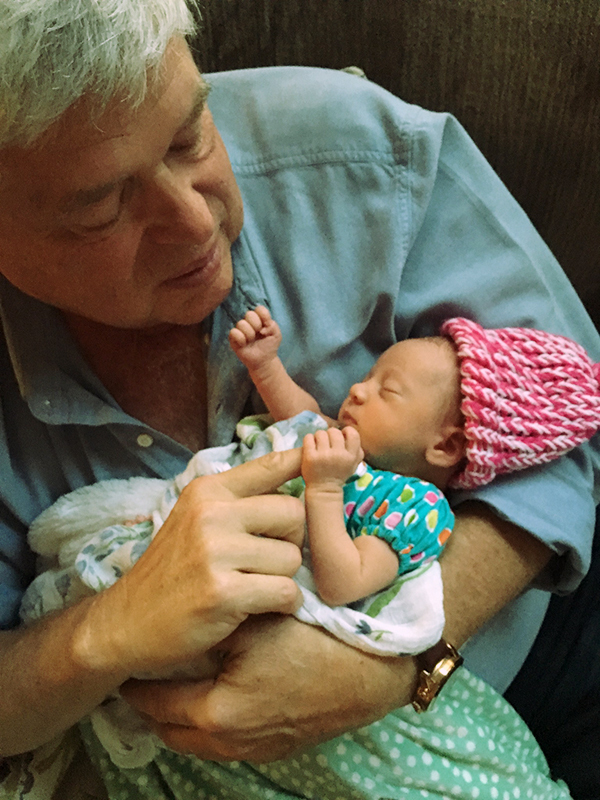 A special thanks to little Ari from Granddad—I really appreciate your being aware of my travel schedule and coming early so I could be there to help welcome you into the world. This entry was posted in Child Development, NACD Families and tagged babies, baby, child development, kids, parenting, potential on August 17, 2016 by Bob Doman. 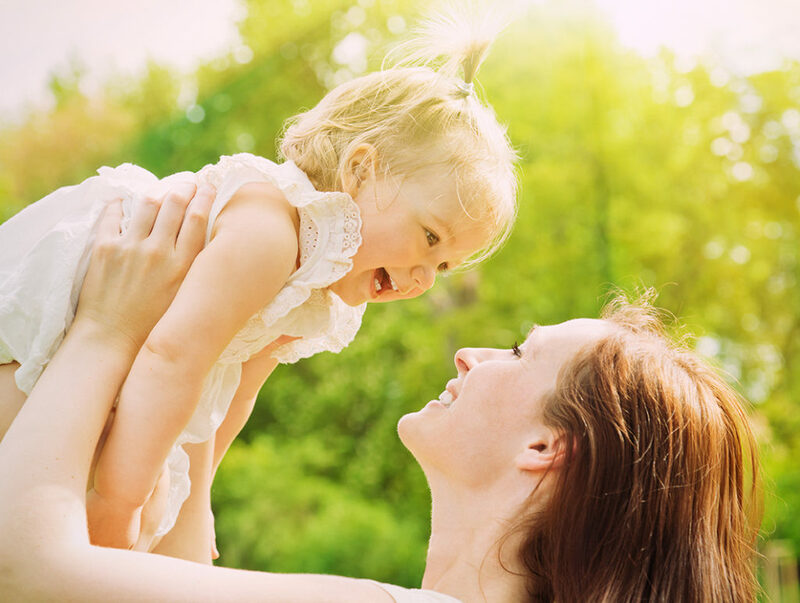 Could the key to your child’s success be as simple as talking to them? Could our educational and probably cognitive decline be at least in part attributable to less and less quality time that permits parents to simply talk to their children? I believe that the foundation of cognition–the ability to think, hold pieces of information together, and manipulate information–is based on auditory processing. Decades of measuring the processing abilities in children and adults as well as developing tools to help develop processing skills has demonstrated tens of thousands of times that your complexity of thought is built upon and limited to how much auditory information you can process and manipulate. We all have the potential to do better; we all have the ability to do better; we just need the opportunity to do better. TSI – Auditory Processing: What is It? This entry was posted in Challenging the Status Quo, Child Development, Education, Human Potential and tagged auditory processing, babies, baby, daycare, development, education, parenting, potential on April 5, 2013 by Bob Doman. What is preventing you or your children from achieving your potential? Often at the top of the list is simply the ability to take in information (short-term memory), manipulate information (working memory), and to think (executive function). Many teachers are just talking to themselves because their students can’t process what is being said. In this video I also mention that The NACD Foundation’s Simply Smarter Project is working to help people understand how well they “think” and is teaching them how to do it better. You and your children can go online and take a quick test and find out how you are doing. Don’t be scared; you can learn to do it better. This entry was posted in Challenging the Status Quo, Child Development, Education, Human Potential and tagged babies, baby, development, education, parenting, potential on February 15, 2013 by Bob Doman. How do we help our children achieve? How do we move beyond labels, particularly that of just being “typical/average,” to really make our children successful? Neuroplasticity–how our brains are stimulated and used determines how they become wired. Brains change. We need to make sure they change in good ways. We can build on strengths and identify inefficiencies or weaknesses, provide a child with appropriate input/stimulation, and change their brain. How cool is that? This entry was posted in Challenging the Status Quo, Child Development, Education, Human Potential and tagged babies, baby, development, education, parenting, potential on February 6, 2013 by Bob Doman.